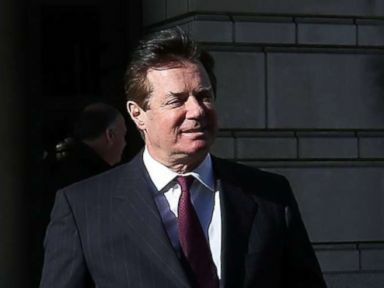 A federal judge scolded former Trump campaign chairman Paul Manafort Monday for his alleged role in the crafting of a recently-published opinion piece in a Ukrainian newspaper designed to burnish his image. Judge Amy Berman Jackson warned Manafort that her prior gag order “applies to you and not just your lawyer," but took no further action on the matter. After thanking the judge, Manafort's lawyer Kevin Downing took the opportunity — in a courtroom full of reporters — to take issue with “a torrent of negative press” against his client that “keeps rolling out again and again,” asking Jackson, “What is it we do” to counter that? Jackson refused to give “advice,” on the situation, noting that "negative press" was also spreading about the prosecution, which was not raising complaints about it. The judge warned all parties against any further efforts “to circumvent and evade” the gag order. Former Trump campaign manager Paul Manafort leaves the Prettyman Federal Courthouse after a hearing, Dec. 11, 2017, in Washington, D.C. The prosecution, which accused Manafort of heavily editing the article, had previously argued that the collaboration was with an individual “assessed to have ties” to Russian intelligence, but there was no mention of that relationship at the hour-long status hearing on Monday at U.S. District Court for the District of Columbia. 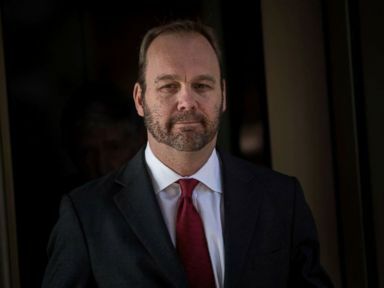 Manafort, 68, and his long-time associate Rick Gates, 45, have both pleaded not guilty to charges filed Oct. 30. Both Manafort and Gates have, through their attorneys, argued to be released from house arrest with GPS monitoring, but Jackson was still trying to evaluate Monday the properties and other sureties that each defendant is offering to back their individual bonds — $10 million for Manafort and $5 million for Gates. Former Trump campaign official Rick Gates leaves Federal Court, Dec. 11, 2017, in Washington, D.C.
Jackson, with an amused expression on her face, was unfazed as she asked questions about Manafort’s future plans for residency. No decisions were made on Monday regarding home confinement. Gates is the father of young children and has recently taken on coaching duties for one of his children’s teams. Without his bond being verified as secure, each time he wishes to leave his home, he must obtain permission from the judge. The next status hearing is scheduled for Jan. 16.